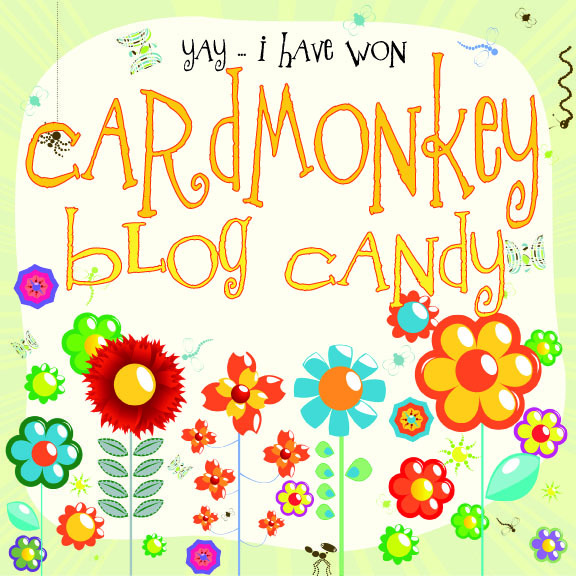 CardMonkey's Paper Jungle: Blog Hop Winners Announced! If you're a winner, grab this button! One of the fun things to do is to award blog candy following the hops I've coordinated. This weekend, I received generous sponsorships for prizes valued at ~$200 USD!! See, it pays to follow the CardMonkey!! A quick reminder inserted here: If you've made a banner for this hop, please send it to me within 10 days (by November 17). My address is listed in the document on our group's Facebook page. If you'd like to try your hand at making a banner to give to the kids at Pediatric Specialty Care, we still need more so that every child has a banner at Christmas! Please leave a comment below with a way to contact you, so I can provide details and my mailing address. And thank you from the bottom of my heart! Congratulations to the following winners. If you've provided contact information, I'll be sending you all e-mails; please respond within 10 days to claim your prizes. Day2 was just as gorgeous as Day1. You have great banners. Not sure which is my favorite of all. Now, as far as my fav deer I would have to say Nixen is. The vibrant color PINK stands out and those are my fav colors this year the pinks and lime greens for Christmas this year. Love it. thanks for a fab give-a-way too! Great job again! another day of hopping and seeing wonderful projects. her own choosing from www.MeljenDesigns.com! I like how you have all different kinds of characters (all reminiscent of the season) in your banner. I especially like how you did it double sided....not only will the child/family get to enjoy it but so will the visitors as they pass by in the hallways; what a great idea! valued at $20 toward her purchase from their terrific site! 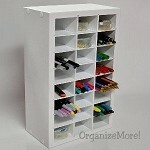 In addition, everyone who took a peek inside the PaperJungle was awarded a code to receive 10% off any organizing product from my other sponsor, OrganizeMore! The code is good for 2 weeks and everybody's a winner -- so if you missed the hop, you're not too late. Hop over by clicking HERE. Thank you again to all who played along ... but especially to those papercrafters who joined me as Blog Stops by making banners for the very special children at Pediatric Specialty Care. May you be always blessed and rewarded for your many kindnesses to the children who smile despite their vast physical and neuro disabilities. Thank you Ellen for my being a prize winner. I have sent you an email. 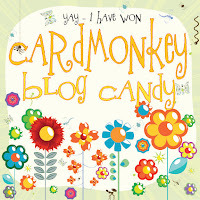 Congratulations to all the other blog candy winners too. Yay, thanks Ellen for fun blog hopping, and for the giveaway! contrats to all the winners.